Fake Dome Security Camera | BUDK.com - Knives & Swords At The Lowest Prices! 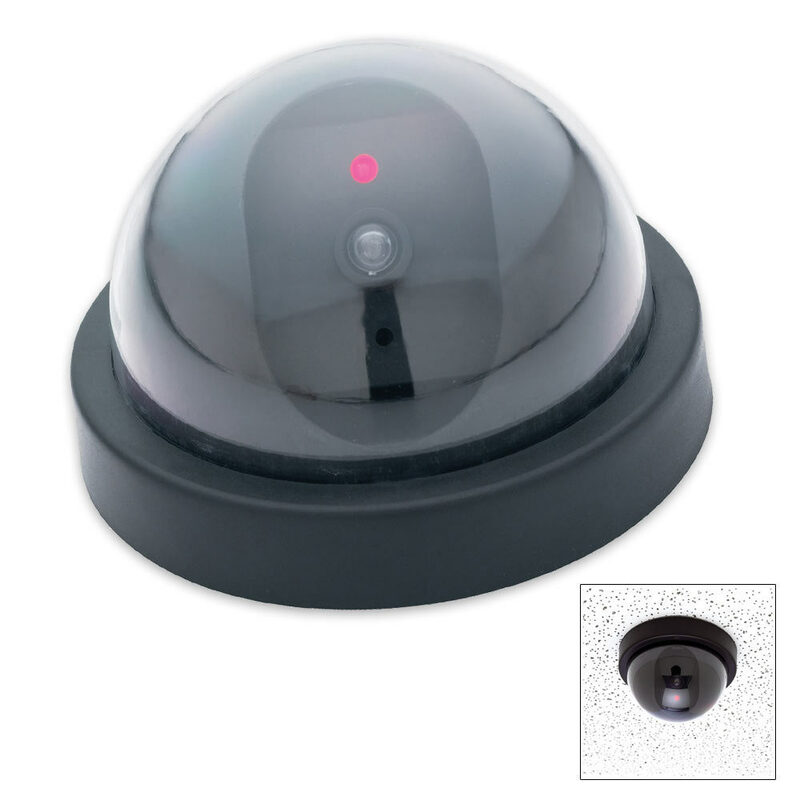 Dimensions: 4 5/8" x 3" x 4 5/8"
This fake security camera is the ultimate crime deterrent with a budget price tag. The realistic design will make criminals think twice about attempting a break-in, as a red blinking light simulates the recording light of an actual security device. No wiring needed. Requires only two AA batteries (not included). Add that extra measure of security to your home or office with this handy device today! At a glance they look real and that is enough to deter most theft. And the price is good for this type of item. I will be getting more in the future..